The strain of cholera bacteria that was isolated in patients in Harare has been determined to be resistant to first line antibiotics Ciprofloxacin and Ceftriaxone. A situational report prepared by the Ministry Of Health and World Health Organization has painted a grim picture of the challenges facing Harare at the moment. 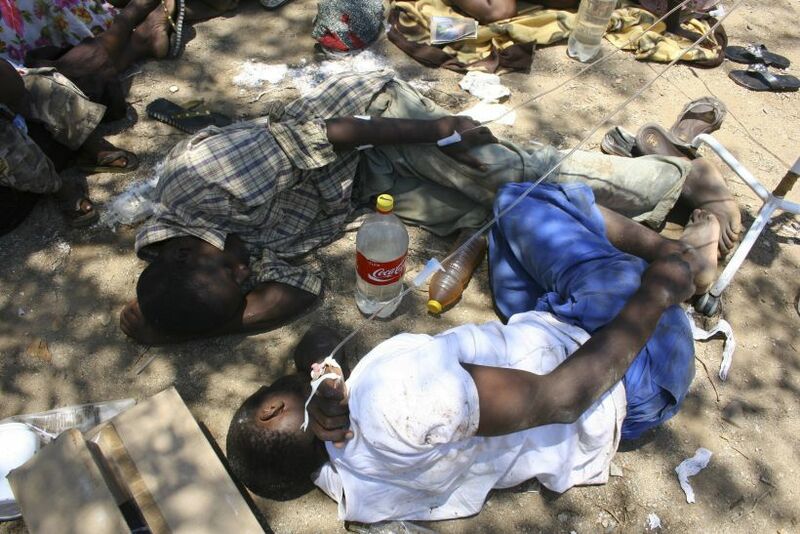 Two million people are in danger of co-infection of both cholera and typhoid says the report. International organisation MSF (Doctors Without Borders) established a Cholera Treatment Center at the Glenview Polyclinic. The centre assessed patients, observed and gave IV fluids to milder cases. The severe cases are referred to Beatrice Infectious Diseases Hospital. With resistance to first line medication it becomes imperative that the government source alternative medicine. The report suggests Azithromycin which is not in supply and there is no indication that the authorities have any intention to stock the drug. Microbiological tests of the water from Harare have recovered both Vibrio Cholerae and Salmonella Typhi the bacteria that causes Typhoid fever. This complicates things for medical personnel as they now need to do blood tests in addition to stool tests. As it stands there hasn’t been much resources dedicated towards the outbreak which seems to have been reached neighboring towns Chitungwiza, Shamva and Epworth.